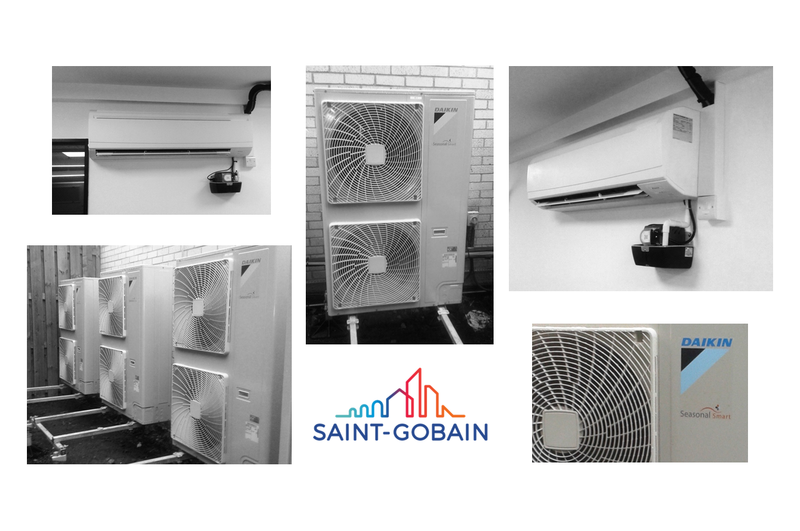 As part of a replacement of an existing system, we installed a number of Daikin R410A split air conditioning systems serving laboratories at the Saint-Gobain site in Bristol providing both cooling and heating. The internal units were wall mounted and installed with pumped condensate systems. Local controllers were provided for each split system and we also connected the systems to the existing Daikin iManager. We also carried out associated builders works to make good the areas following the works.